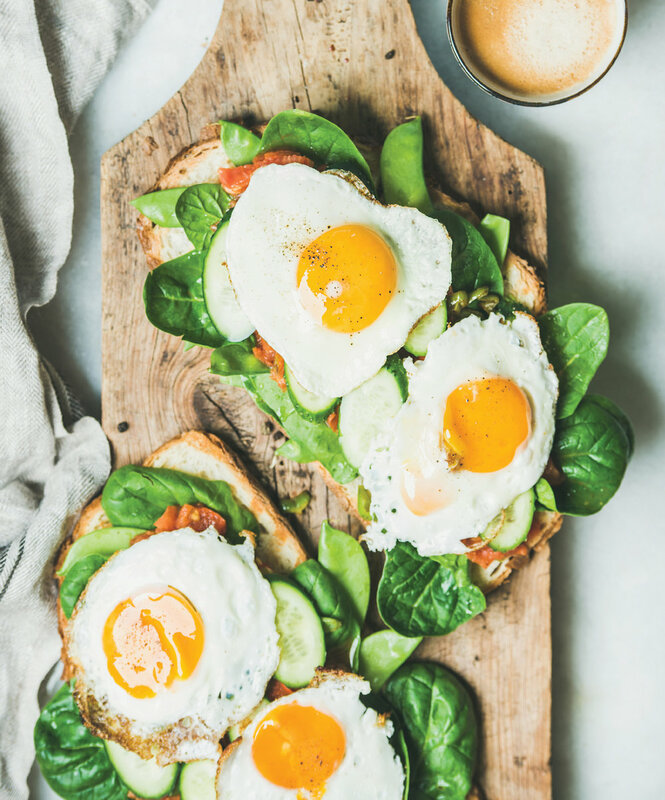 Breakfast sets the tone for the rest of your day so why not make it a healthy one? Here are two easy recipes that will keep you full and fueled all morning. Avocado toast is a simple meal that really shines when made with high quality ingredients. Once you have the base of avocado and toast you can build your own healthy creations according to your own tastes. Here’s an idea for a nutritious and delightful variation. 1. Mash the avocado, lemon juice and salt. 2. Cook the eggs according to your preference - fried, poached, scrambled, or even slices of hardboiled eggs will work. 3. Spread the mashed avocado mixture on the toast, then layer spinach, salmon, and top with eggs, season with salt and pepper and a drizzle of olive oil. Enjoy! This delicious parfait makes a great breakfast but can also be used as a snack or healthy dessert. Making your own granola is easy and tasty but you can substitute a pre-made granola of your choice to simplify this recipe. Just make sure you you’re using one that’s low in sugar! 1. Preheat the oven to 275 F. Line two baking sheets with parchment paper. 2. In a large bowl, combine the oats, brown rice cereal, puffed millet, puffed kamut, almonds, and cinnamon. In a small bowl, whisk together the agave syrup, almond butter, coconut oil, vanilla bean seeds, and vanilla extract. 3. Add the wet ingredients to the dry and thoroughly combine. Divide the mixture between the two baking sheets and spread out evenly. 4. Bake the granola for 20 minutes. Remove from the oven and spread the chopped figs out over the granola and mix to combine. Re-spread the granola on the sheet and return to the oven for 15 more minutes. Remove from the oven and let cool completely before storing in an airtight container. 5. In 2 bowls or mason jars, fill the bottom with about ¼ cup of granola each. Scoop about ¼ to ½ cup of yogurt over the granola. Top the yogurt with a few slices of blood oranges. Add another layer of granola, then another layer of yogurt and then oranges. Top with granola and serve. Enjoy!